Virtual reality has long been one of those things on my someday list, a list that often gets more intention than attention. Unless I get a nudge. Like a request from the dean. I sent Jerry Ceppos, dean of LSU’s Manship School of Mass Communication, an email earlier this month, asking him to pass on to the faculty my willingness to guest-teach some classes this month. I was excused from teaching a regular course this semester because of my ever-changing plans for finishing my lymphoma treatment. But I enjoyed guest-teaching for a couple of colleagues early in November and had a fairly open calendar for the rest of the month (because I thought I might be in the hospital), so I offered to guest for some other faculty colleagues. I turned down a colleague who asked about a topic on which I lacked expertise. I figure you should teach what you know. But somehow when the dean asked if I could teach something on my someday list, I decided someday was today (yesterday, actually). So I taught a class on ethical issues in virtual reality journalism Tuesday, even though I have consumed little VR and produced none. Generally I prefer to teach matters on which I have some expertise, but I also like to continue expanding my expertise, so I agreed to lead a discussion of virtual reality issues in Jerry’s ethics class. I had about two days to learn enough about VR to teach it in a class. Let’s back up a little: I wasn’t starting at zero here. I’ve heard speculation about VR being the future of news or entertainment or business for a decade or two, always curious. 360-degree visual technology certainly transformed video games from the flat original Super Mario Brothers games I used to play with my sons (though the boys have grown up and moved away, so I don’t play today’s 360 games). Even if video games are more virtual than reality, the concept is the same: Presenting an experience that feels real. Or “virtually” real, whatever that means. I remember my fascination a decade ago when a real estate agent sent a photographer to the home we were planning to sell, and the photographer set a camera on a tripod, pivoting to shoot 12 (as I recall) photographs of each room of our home. Computer software would stitch the photos together into a “virtual tour” that the agent would post in a digital listing, inviting people to get a 360-degree look at each of our main rooms. I don’t know how much the virtual tour contributed, but the home sold for a good price. I have a less detailed memory of a reporting project in the 1990s, early in the days of digital photography. I was reporting on the impact of government regulation, mandates and spending in a town, and a photojournalist shot pictures of all the businesses around the town square. A designer used some new software to stitch the pictures together into what appeared to be a panoramic photo of the town square for an informational graphic, in which I reviewed the governmental role in each of the businesses (I just looked unsuccessfully for a clip to share here, but I think my memory is accurate). More recently, I encouraged (with mixed success) colleagues to try Gigapan panoramic photography, such as a Shanghai skyline photo stitching together 12,000 different photographs or the panoramic photograph of President Barack Obama’s 2009 inauguration. Click on the photograph to zoom in and move your mouse to pan around and you can clearly see members of the Obama, Bush, Cheney, Clinton and Biden families there, as well as recognizable members of the Supreme Court and Senate. Improving technology moved the 360-degree viewing experience into video: advances in production technology, including wearable GoPro video cameras; video production software that stitches together moving images; headsets for viewing VR. In a visit to Syracuse University last year, I first put an Oculus Rift headset on, as Dan Pacheco showed me where he was experimenting with VR applications for journalism. With the headset on, it appeared I was at a flooding scene. As I looked to the left and right or spun all the way around, it felt as if I were right at the scene, with water and flood damage all around me. I felt kind of disoriented wearing the headset and feeling surrounded by the scene. Some people actually feel motion sickness using VR headsets. “Harvest” was a star of last year’s Online News Association conference, but I didn’t actually put on the Oculus Rift and experience the farm. Every time I went by the booth where it was being presented, the crowd was big enough that I decided to come back later. Two Manship colleagues, Lance Porter and Tad Odell have been learning about VR and we have two Oculus Rift headsets at the school. Lance and Tad guest-taught a class for my Interactive Storytelling Tools class last spring. I’d noticed other VR developments, including another story featured at this year’s ONA conference and an StoryNext conference last month, neither of which I could attend. So it was like the dean was telling me it was finally time to really learn something about virtual reality. Jerry was prompted by the New York Times’ release of its project “The Displaced,” and Public Editor Margaret Sullivan’s column about reader reaction to VR, including some ethical issues raised by journalists. The box itself (when assembled, it looked like a Fresh Direct container for three jumbo eggs) struck me as an almost instant anachronism: ready for its place on a historical timeline of the digital age’s evolution. This is what happened in 2015. The structure of my class presentation was pretty easy to plan: I’d start with some discussion of the history and technology of VR, and its potential application in various communication fields represented in the class. Then we’d discuss some ethical issues. I didn’t have time to produce a VR project, but I wasn’t asked to teach how to use VR, but to discuss ethics. While I already knew of some ethical issues, I knew it was a fairly simple reporting effort to increase my understanding of VR enough to lead the ethics discussion. A report from StoryNext, The State of Virtual Reality in Journalism, was perhaps most helpful, both filling in the recent development of VR as well as laying out some good ethical issues to discuss with the class. This is too new a field for me to present do’s and don’ts, but it’s unfolding quickly enough to raise some issues for the students to consider as they consume and potentially produce VR. And I continued learning about VR after the class, as students told me of VR being used in athletic recruiting and in therapy for soldiers dealing with post-traumatic stress. Contact information on a news site is certainly a matter of customer service. I’d argue that it’s also an essential form of community engagement. But what about journalism ethics? Is easy access to journalists a matter of ethics? I think so. Whatever factors you think should motivate contact information, I hope you’ll agree with me that many news sites make it difficult to contact them. And nearly all should do a better job. Correcting errors is one of the basics of journalism ethics, mentioned in the Society of Professional Journalists Code of Ethics, Poynter’s Guiding Principles for the Journalist and Radio Television Digital News Association Code of Ethics. We’ll correct more errors if we learn about more of our errors. And if we’re easy to reach, we’re going to be more likely to learn about our errors. The New York Times study of the Jayson Blair case revealed that people who read his fabricated stories didn’t bother to contact the Times because they didn’t think anyone at the Times would care. As much as I believe in corrections and accuracy, I don’t bother to request corrections about every error published about news I’m involved in (and my most recent request was ignored anyway). I think news organizations need to invite access and requests for corrections, or they won’t become aware of many of their mistakes. Why do I have to deal with this already? For more than 20 years, I have said it’s an important experience for journalists to be the the subjects of journalism. I can’t complain (much) when it happens to me. It must be time to widen the conversations we’ve been having internally for more than two months. 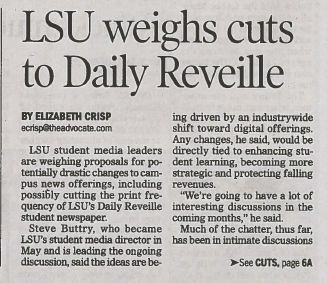 Elizabeth’s story generated an immediate and strong reaction among alumni and staff of the Daily Reveille, because the focus of her story was our consideration of cutting back the frequency of print publication. If you want to read Elizabeth’s story first, I hope you’ll come back and read my explanation of what’s going on and how LSU Student Media alumni can participate. But I’ll post the link again at the end if you’d rather hear from me first. 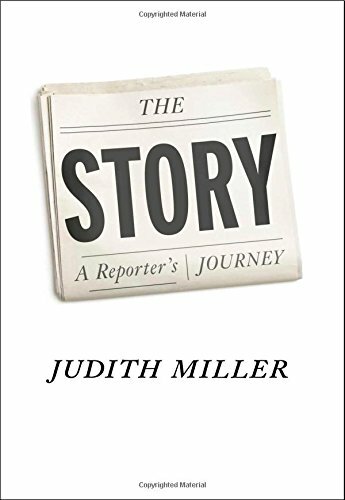 Judith Miller clearly reflected in great detail on her rise to prominence in working on her memoir, The Story: A Reporter’s Journey. She appears to have reflected very little, though, on her failures in reporting on intelligence about weapons of mass destruction in Iraq when the Bush administration was rushing the United States into that disastrous war. Here’s how little The Story reveals about any examination by Miller of the weaknesses of her own reporting about WMDs: In her only reference to either of the Knight-Ridder reporters who reported extensively on the intelligence community’s doubts about Iraq’s WMDs, Miller identifies Jonathan Landay incorrectly as being with “the McClatchy newspaper chain.” McClatchy would not buy Knight-Ridder until 2006, but the context of the discussion Miller was recounting was 2004. Landay and Warren Strobel worked for Knight-Ridder when they did the journalism that Miller and her New York Times colleagues should have been doing: reporting on doubts within U.S. intelligence agencies about the claims that Iraq was making weapons of mass destruction. Jerry Ceppos, my dean and friend, teaches an ethics class, so I called a recent post about Fareed Zakaria’s plagiarism to his attention. He discussed the case with his class and sent me an email with an interesting analysis by his students about different types of plagiarism. I’ll share his summary of the analysis, then comment on it. We had a fascinating discussion about Zakaria, comparing the latest side-by-sides and discussing the Post’s wishy-washy questions. I came down pretty hard on Zakaria (and predicted a denouement by the end of the semester). I even showed a clip of him smugly talking to a British TV person about the Indian election. We did something interesting that you may or may want to follow up. Because some of the class was a little nicer than I was, we broke plagiarism down into five blocks. Words — The sports folks, tellingly, argued that there might be just one way to describe a key play. I said I found that hard to believe but might be able to accept the same words from two reporters if writer #2 had not first read writer #1. Facts — I said that I found stealing facts abominable because someone else has done the work and the reader has no idea where they came from. On the Web, in particular, it seems lazy because attribution is so easy. I did concede that it might be OK to go to the original source and “re-find” the facts if the original source is given. Ideas — I said that I found it most difficult to “copyright” ideas. Quotes — I agreed that, in this age of PR folks putting out statements for their clients or parading the same client at the same moment before a variety of reporters, it might be OK to see the same quotes in multiple stories. In fact, it would be weird not to see them the same if the source were the same. The medium — There might be some excuse if Zakaria loosely uses someone else’s information when he’s a talking head vs. when he is writing for The Times. 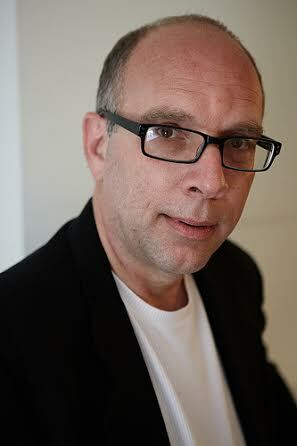 Jay Rosen, one of the leading thinkers in journalism and journalism education, is teaching a “digital thinking” class that I’d love to take and that I might sometime want to teach, stealing liberally from Jay. In a Twitter direct message, Jay likened his class to my work on Project Unbolt during my last few months with Digital First Media. My initial reaction was that Project Unbolt was about action and Jay’s class is about thinking, but of course, the two go together. Digital thinking changes how you work and changing how you work changes how you think. One of my first blog posts for my DFM colleagues was about digital thinking. Below are the main “currents and trends” Jay expects to cover in the class. He wants students in each case to learn “what it means, why it’s important, and where things are going with it.” I encourage reading Jay’s post, which has links to earlier posts he has done, as well as material from others. You can’t wait until you need a job to position yourself for the job hunt. Yesterday I posted some advice on looking for a job in journalism when you lose your job. Today I’m making the point that your next job hunt starts in what you do while you’re employed and feeling secure and happy with your job (as I was for nearly all my time at Digital First Media). While working, you need to build the brand, accomplishments and connections that will become essential in your job hunt. Your job hunt might start with losing your job in a corporate staff reduction, as happened to my Thunderdome colleagues and me in April. Or you may be frustrated with your current job and decide to move along. Or you may want to pursue your dream job. Someone may come courting you when you’re pleased with your current job (that happened to me in 1998 and I left the Omaha World-Herald to join the Des Moines Register and it happened in 2012 and I came very close to leaving Digital First Media). In any of those situations, it’s important to position yourself for future opportunities in the job you’re doing now. Quality work often isn’t enough, but job-hunting success always starts there. You can do good work and still not succeed in a job hunt because you didn’t do the things I discussed yesterday (or just because job-hunting is hard). But no amount of digital sophistication, networking or other techniques discussed here is likely to help if you don’t do quality work. I apologize for what will amount to boasting here, but the point is important to make.